Facing a high-risk pregnancy triggered by a prior medical condition, 19-year-old Tierra knew she needed support. Fortunately, she had enrolled in the national Nurse-Family Partnership (NFP) program, an evidence-based home visiting model that connects specially trained nurses with first-time moms-to-be. 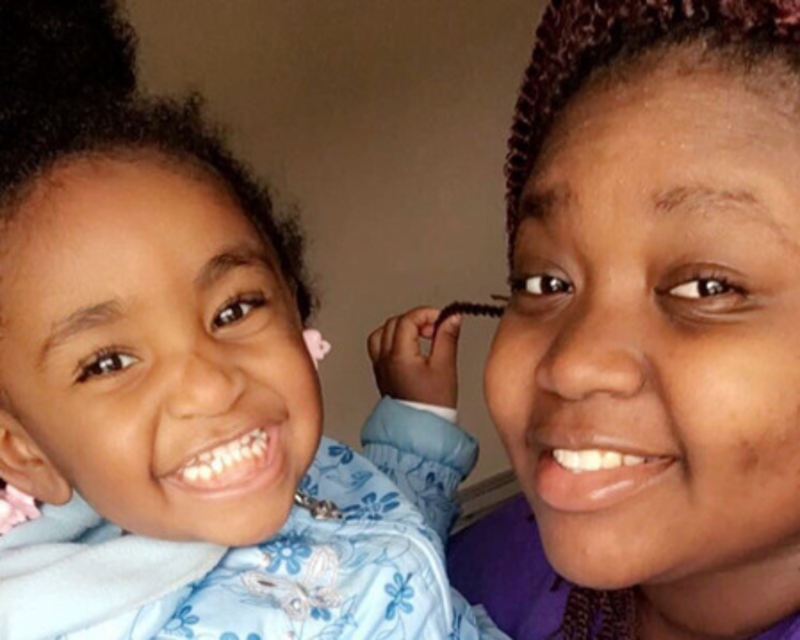 Valerie Ragland, an NFP nurse home visitor with Help Me Grow Brighter Futures in Dayton, Ohio, worked with Tierra throughout her journey to parenthood. Here is Tierra’s story. When I found out I was pregnant, I was 19. I graduated high school already and was working. I worked for the first 4 months of my pregnancy, but then I became high-risk, and I couldn’t work anymore. The challenges I faced [with my pregnancy] mostly were with my health. I had a rather tough condition that I developed as a teenager, so when I became pregnant, it got worse with my body changing and my body parts expanding and having to nurture another human being within me. And Valerie, my home visitor, helped a lot with that because she would go with me to some of the appointments just so she could learn more about my condition. She came to visit me in the hospital at that time and to talk to the doctor. It helped that she was a nurse. During delivery, I was preeclamptic. Now, after the pregnancy, I have high blood pressure. I’ve changed my diet, so she helped with courage to change my diet, to try to get all the medications for my high blood pressure and heart rate. Her nursing background helped a lot, so that I wouldn’t have to Google everything and scare myself even more. When people hear [the word] nurse, they think, “Oh, I’ve got the doctors. I’ll see a nurse.” No, not that type of nurse. It’s not just medical. She is there for everything, any and everything, personal advice, medical advice, all of it. Valeria also helped me with looking for different schools to go to, which [one] was best for me. She helped with studying skills, how to study and parent at the same time. Now, I have my associate’s degree in health information management. And I’m studying now to take my RHIT [Registered Health Information Technician credential], so I can be a registered technician. And I’m at UC [University of Cincinnati] online for my bachelor’s degree. Me and my family, we’re really close. We stay supportive, but it also helps to have that outside person who doesn’t know you extremely personally, who won’t just tell you what you want to hear. Then you know that that person is genuine.